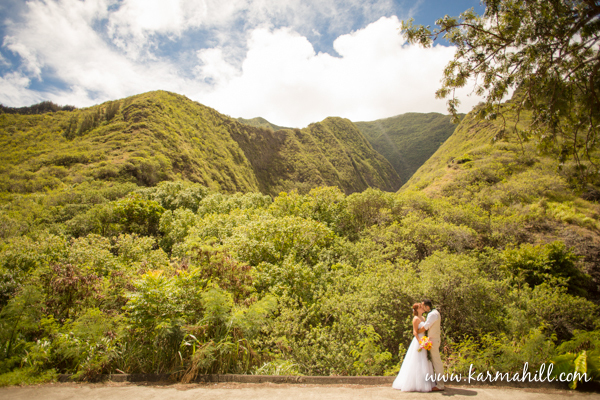 Angelia and Dustin hail from California, so for their wedding location the beach was not as important to them as showing off what differentiates Hawaii, which is our lush green volcanic mountains and jungle. 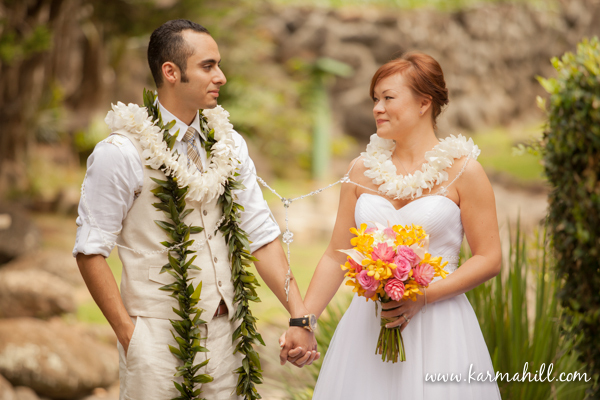 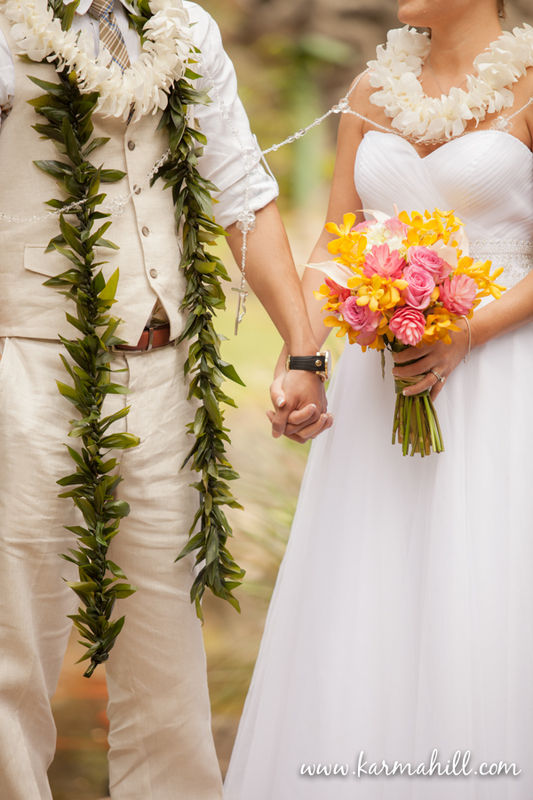 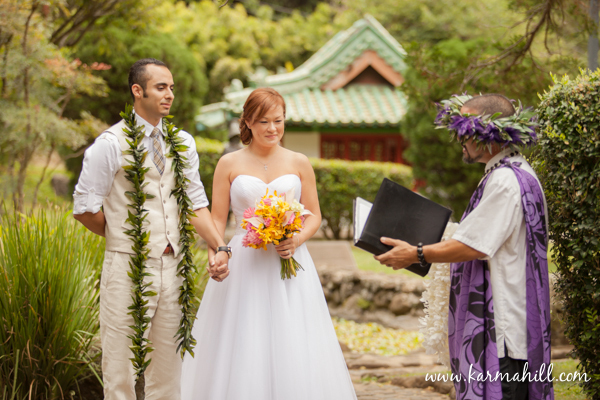 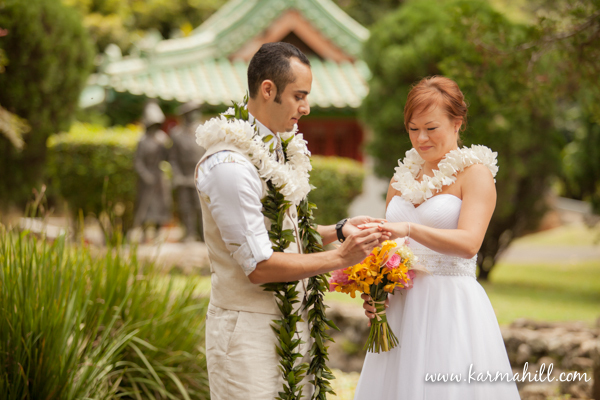 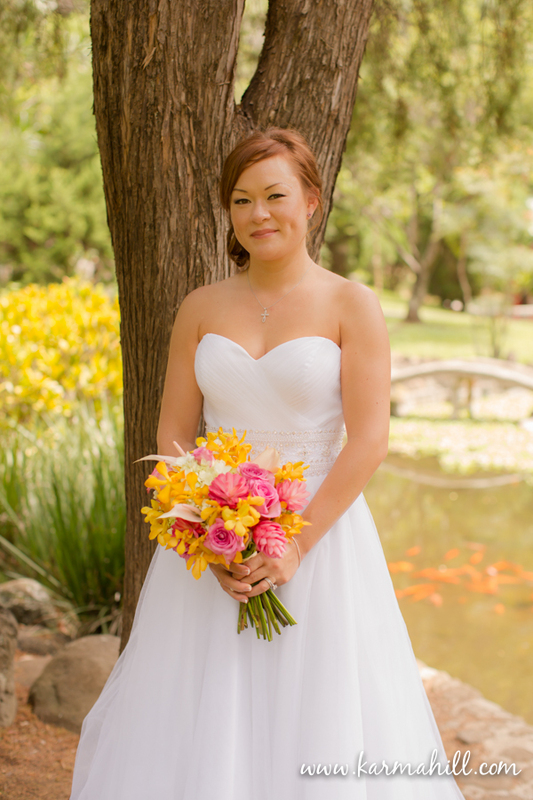 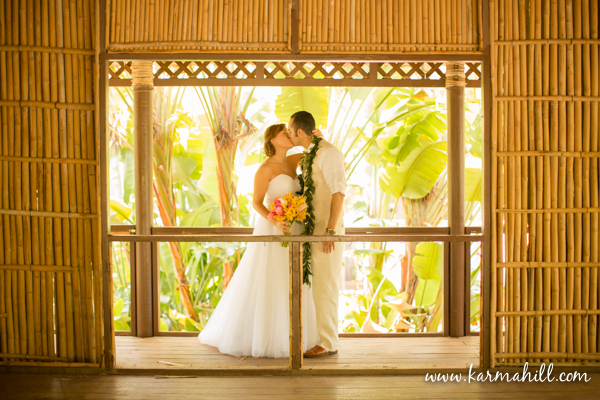 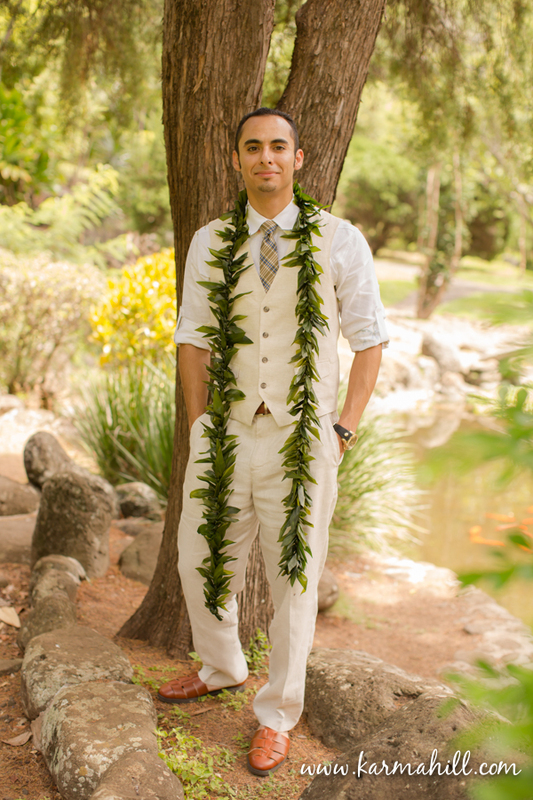 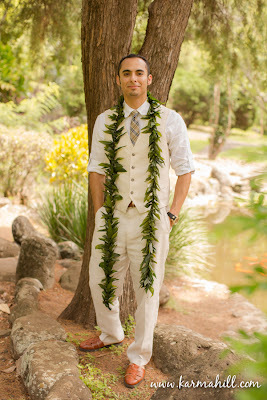 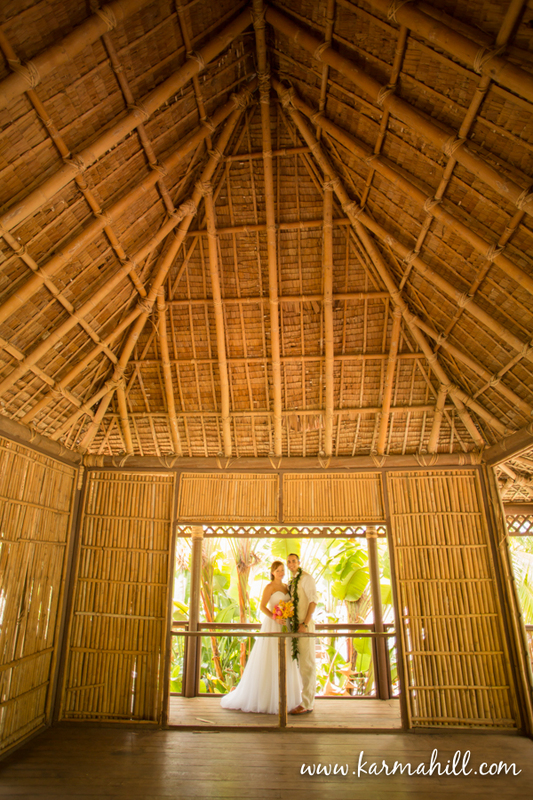 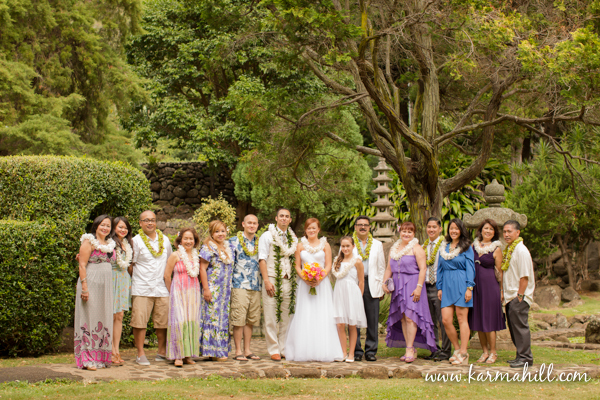 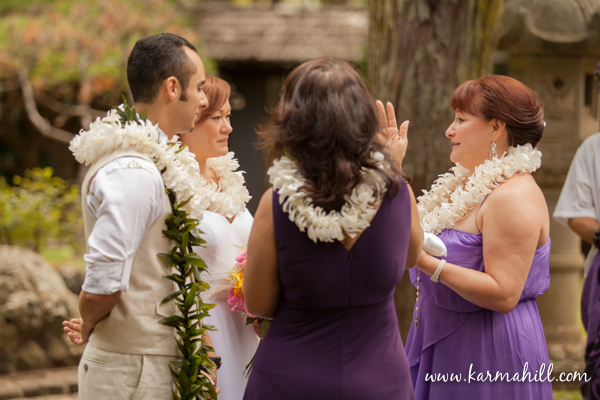 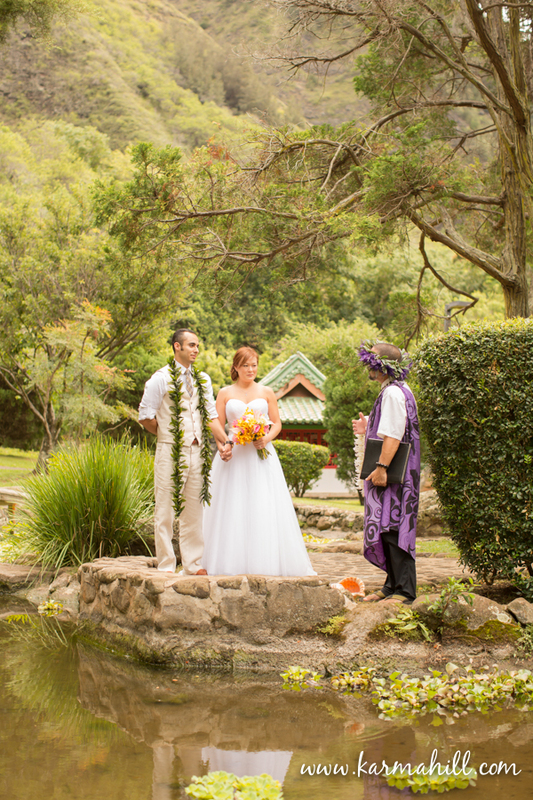 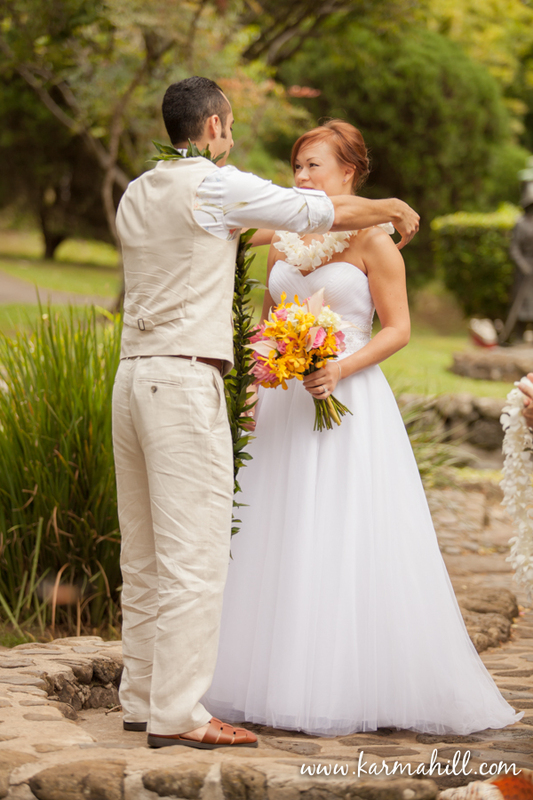 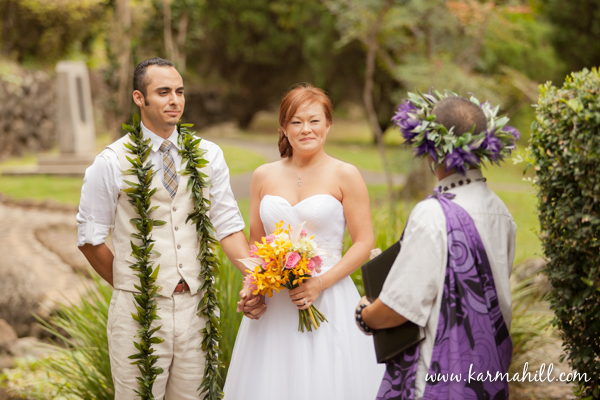 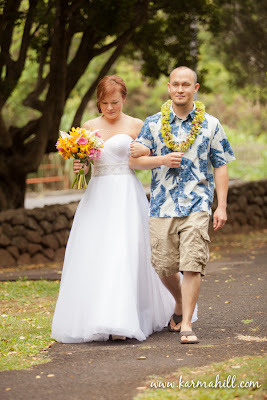 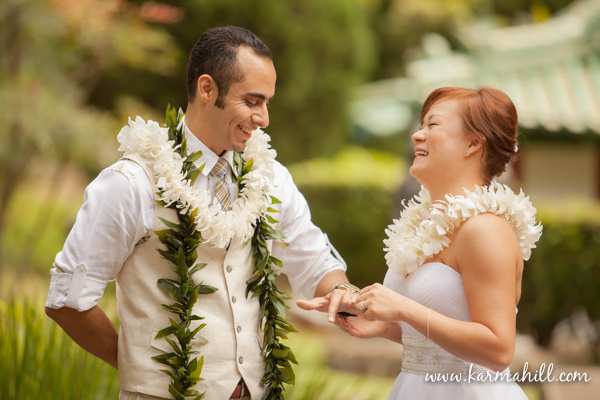 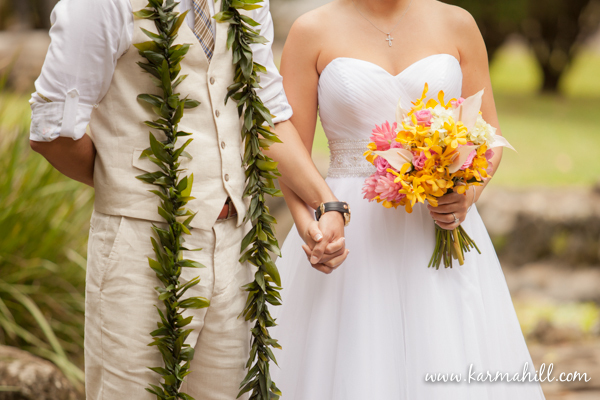 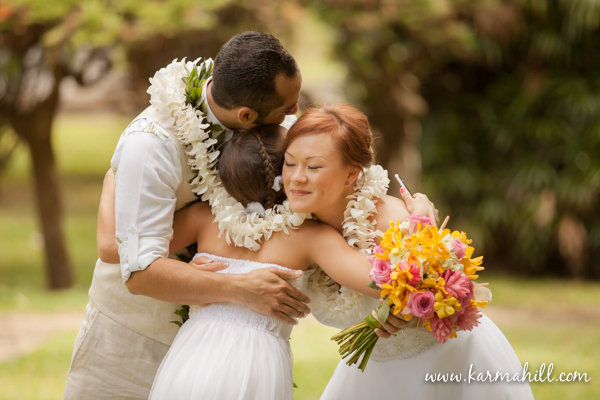 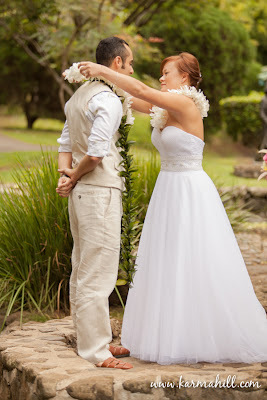 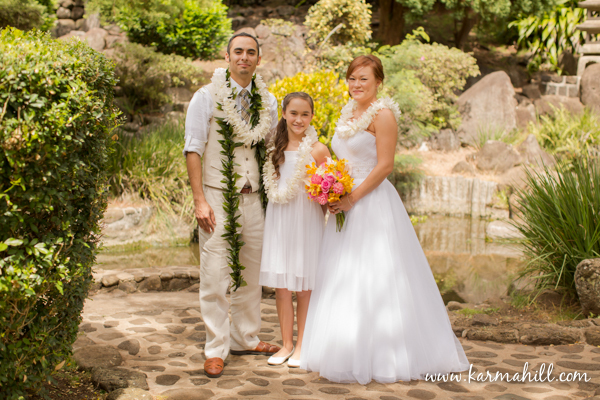 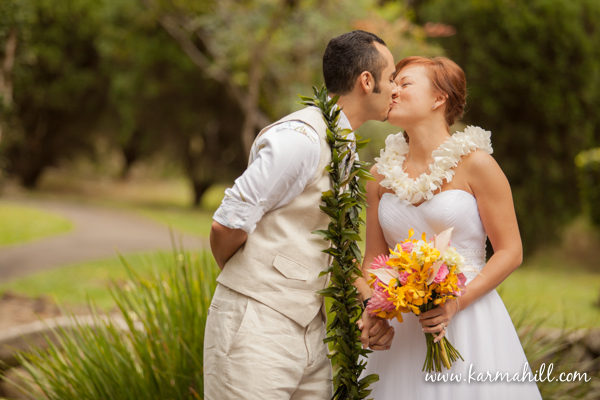 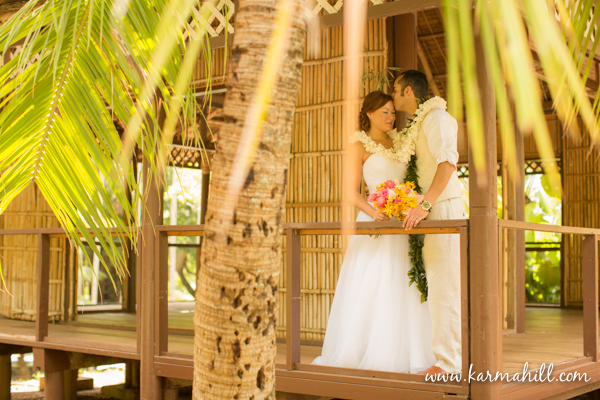 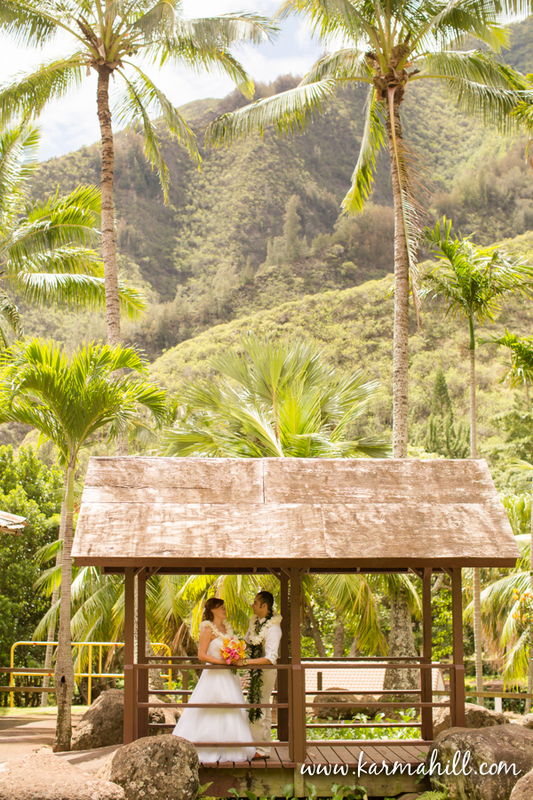 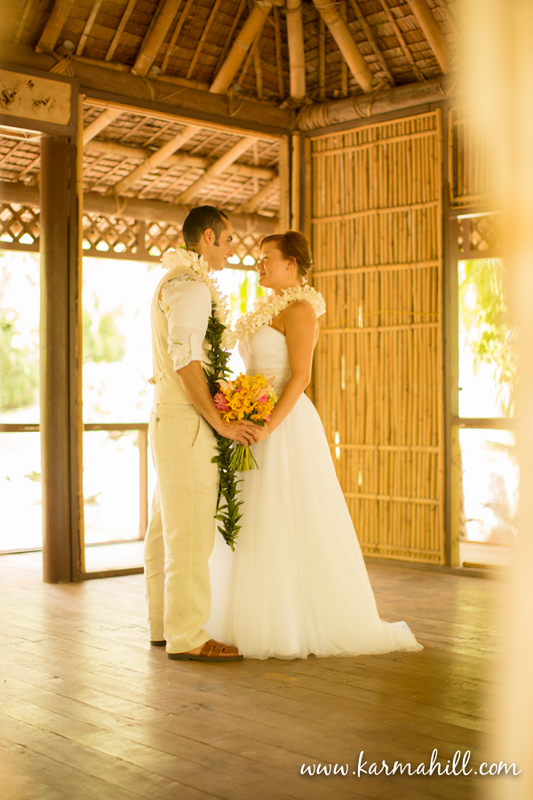 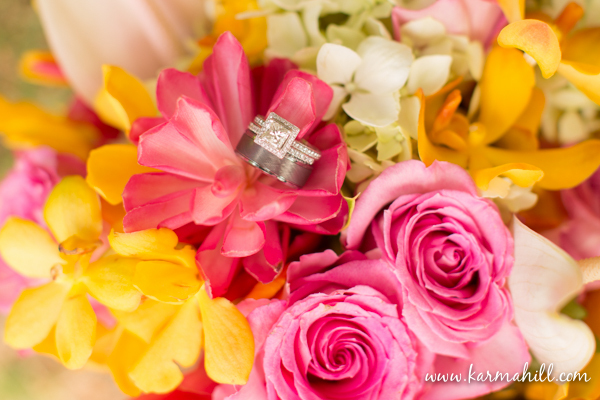 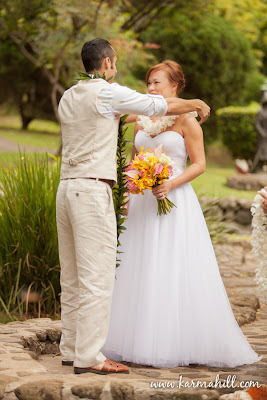 They were married in a beautiful ceremony at Heritage Gardens, in the lush Iao Valley in central Maui. 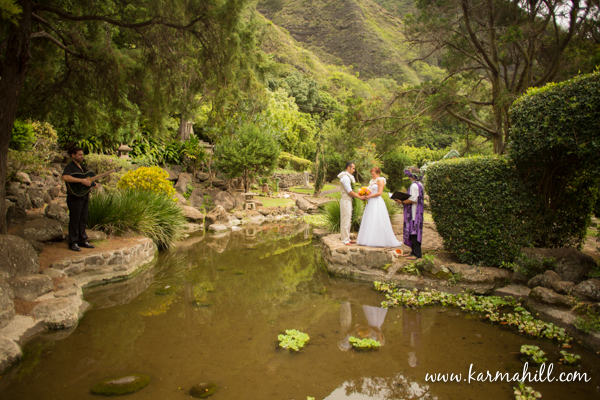 We love this location as the light is amazing for photography at almost any time of the day, so it offers flexibility with ceremony times and it has an amazing variety of backdrops. 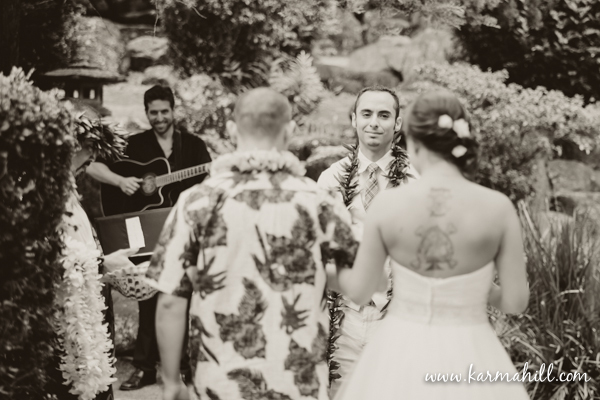 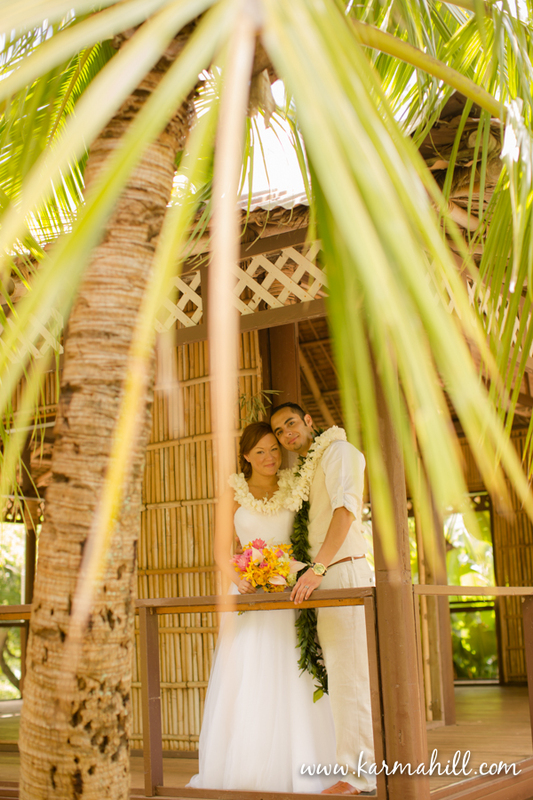 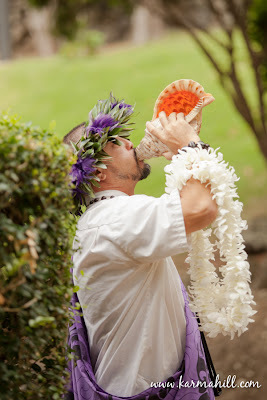 The couple was surrounded by close family and friends as they said "I do" and later that day, the whole group attended the "Old Lahaina Luau" for a fun filled reception!